Are you an outdoor enthusiast? Want to learn more about wilderness medicine? Want to meet others with similar interests? Need some more FAWM credits? 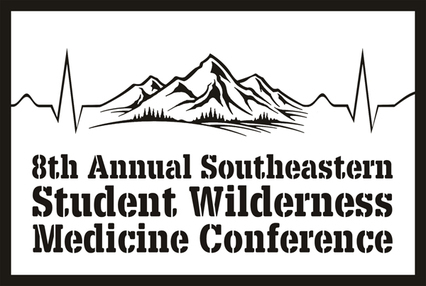 Mark your calendar for the 8th Annual Southeastern Student Wilderness Medicine Conference. This affordable conference will teach you to handle common emergencies in austere environments and improvise in limited resource settings. The conference will be held on East Tennessee State University's campus in Johnson City, TN. Many of the speakers will return from past conferences while we will have plenty of new topics as well! The conference Survival Packet is now available! It contains pretty much everything you need to know for the weekend. Sign-up for specific sessions will be online. Instructions on how to sign up for the sessions will be sent out on April 19th, which is when registration for the sessions will open. A survival packet with specific locations will also be sent out around this time. UPDATE: The survival packet is now available above. You can now sign up for the sessions via this link. Please review the information in the survival packet to choose your sessions. 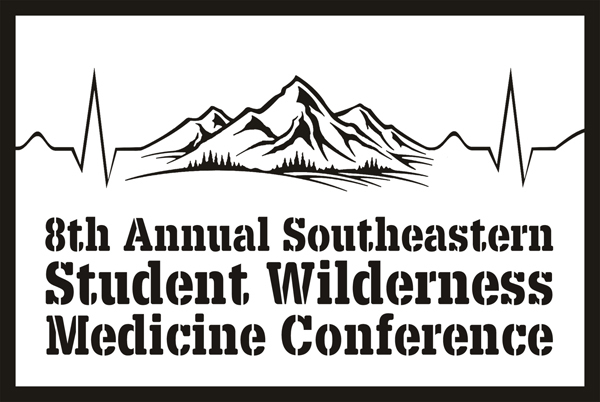 For regular updates on the conference speakers, schedule, and other activities you can also join our Facebook page at Southeastern Student Wilderness Medicine. This is a great opportunity to network with other students who share similar interests and hobbies. Anyone who has attended the conference before or is interested in attending this year is welcome to join and post their thoughts. Early bird registration open now! Register now! $50 until March 29, 2014, then $55 until April 12, then $65 until April 19 without CME or FAWM. FAWM is an extra $5 per person. CME is an additional $100 for physicians and $75 for non physicians. Registration closes on April 19th, no on site registrations will be accepted! ** Event is eligible for fellowship in academy of wilderness medicine credits (FAWM). Please choose registration and FAWM on active. There is a $5 fee for fellowship credits. A list of available credits can be found at the WMS page *** 15 CME hours will also be available for Physicians and non-physicians. We will continue to keep you posted on any other deals we are able to come up with. Click here for a list of some of the different opportunities offered in the city of Johnson City. There have been a wide variety of attempts to define wilderness medicine. Definitions range from broad to specific. The specific definition says that wilderness medicine is the practice of medicine where definitive care is more than one hour away. The broad definition includes any medical care given when there are limited resources or environmental extremes. What credit can I obtain? This conference is approved to grant credits towards becoming a Fellow of the Academy of Wilderness Medicine. Credits are currently being developed - so are not available on the WMS site yet. For more information about the credits available, contact us here. For more information about the Academy of Wilderness Medicine and its fellowship program, click here. CME credits also available. Choose the appropriate category on Active.com. The conference is aimed toward medical students. However, all are welcome to attend. Past students have included canine search and rescue teams, EMTs, paramedics, practicing physicians, nursing students, nurses, PAs, and outdoor enthusiasts. There will be opportunities for everyone to learn something! Registration fees include world class wilderness medicine education, a t-shirt, and breakfasts and lunches. Will we be required to pay the registration fee at the time of registration or at later date? The registration fee is required at time of registration. Where can we ask more questions?